Locally farmed meat, fish fresh from the sea, artisan breads and kitchen garden fruit & veg. Purbeck fare is nothing short of mouth watering. 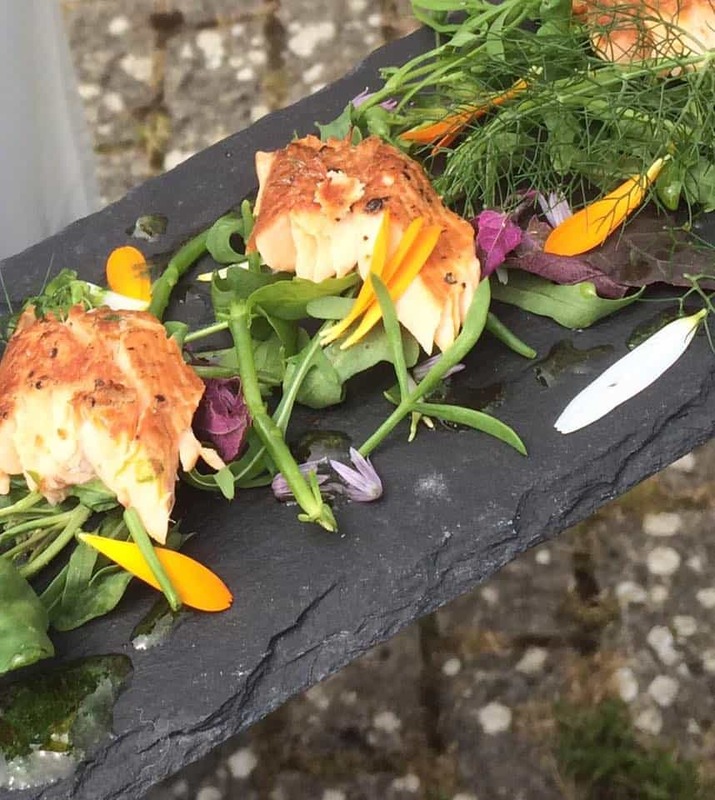 Talented chefs, bakers and farmers have put Dorset well and truly on the culinary map. Sumptuous picnics can be packed and BBQs stacked with fresh local produce from urban farm shops, butchers, fishmongers, markets and food festivals. Dorset is home to the Naga, the world’s hottest chilli pepper and of course the Dorset Knob! And a wedge of Dorset Blue Vinney cheese is perfect with a glug or two of local cider, wine or real ale. Purbeck in particular is known for its rich venison, Chococo chocolate and delicious Purbeck Ice Cream, passionately produced with farm fresh milk and thick double cream. Visit the Snack Shack at Burnbake for breakfast, and dinner, during the summer and at weekends in the off season. Serving up full English breakfasts and bacon rolls in the mornings and a selection of meals in the evenings including hot dogs, burgers and specialities like paella. Out and about, Dorset Apple Cake with cinnamon and a huge dollop of clotted cream is on the menu of almost every tearoom right alongside the classic Dorset Cream Tea. Character pubs, beach bars, bistros and fine restaurants serve tempting menus to suit all tastes. If you need some help deciding where to try first, drop in at Reception and we will happily suggest a few favourites. Set in the beautiful Purbeck hills, Dorset, the Olive Tree Cookery School is ideally located for those wishing to combine culinary instruction with their relaxing stay at Burnbake. We offer various packages to whet your appetite, and you can combine them with a stay in one of our Luxury Lodges. Minimum of 4 people (Kids under 13 are free). Subject to availability mid-weeks only. This course will need some serious muscle with plenty of pasta, pizza and bread dough to be kneaded! Enjoy the intense, fresh flavours of the Middle-East and learn about slow-cooking with a tagine. Spend the morning foraging the local coastline for sea vegetables and edible flowers before returning to the cookery school to create a fresh, seasonal, flavour packed lunch with your foraged treasure and other local produce. Maximum 4 people. Group bookings for an evening at the cookery school with Giuseppe. If it’s good food you’re seriously interested in then book in for a delicious meal prepared in front of you and your guests. Minimum 4 persons, max 6.